“Do you love Paris? Do you like living in France?” – These are the most common questions I have been asked like hundred times. Paris is always associated with glamour and sophistication, ravishness and mundanity - the opposite of sinangag and tuyo, or purontong and tsinelas. Can you now imagine that I am living in a totally different world? 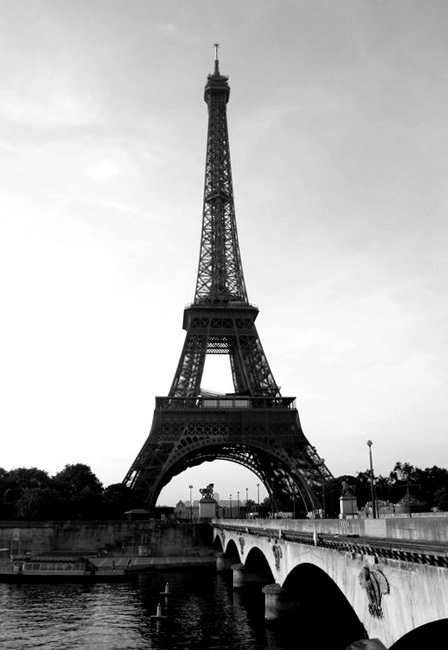 ~ Paris is extremely gorgeous and stunning. There's just nothing else like it and nothing will ever compare. It’s richness in culture and history is just exceptional! Walking around the city is like walking around an ancient museum. Everything and every bit of detail will give you the feeling of enchantment. My favorite is the tour Eiffel that glitters at night, well I love it any time of the day and at any angle! For me, Paris is divine! ~ French food is trés excellent. If there is one thing to be said about French, it would definitely be that it is the language of cuisine and gourmet cooking! Although I am not a gourmet fanatic but I've had some of the best meals I've ever had in my life in Paris! And to add, I love French macarons and the mini gâteau au chocolat from the typical boulangeries et patisseries! I love how they are appealingly and strikingly presented, plus I undeniably love the smell of the boulangeries in the morning… It’s heaven! ~ The French lifestyle and Parisian fashion is exquisite. The French way of life is enviable; they appreciate the finer things – good wine and fine cheeses, artistic expression in music, art and literature. They have mastered the art of enjoying life, whether it be a good conversation, a great meal, or a stroll through the park on a beautiful afternoon. And of course, I also adore the style of the Parisiennes; women are effortlessly feminine and chic. I sometimes tell myself, "Gahhd how do they always manage to look so chic even while they are riding on a bicyclette?" They have a certain way of putting things together that's uniquely French - timeless, classy, elegant! Don’t you just love the sound of Chanel, Vuitton, Dior, Saint-Laurent, Givenchy, Gaultier, Lacroix, Louboutin? These luxurious names are like beautiful melody to every girl’s ears, and yes they are all French! Et alors, like the french, let's always see life in details. Happy Monday tout le monde!